Eric Bath – Brecon Towers – You can't buy happiness, but you can buy coffee. 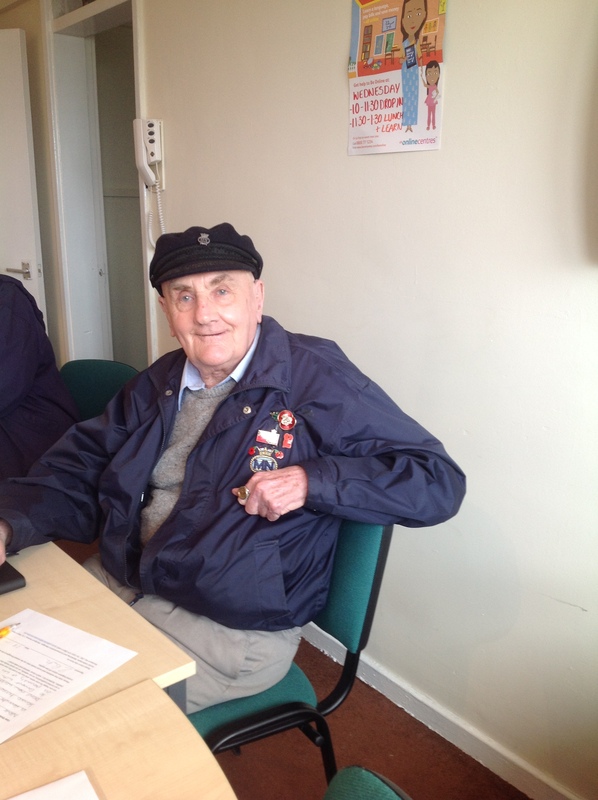 Eric had never used a computer or tablet before attending the sessions at Brecon Towers, in fact he couldn’t use a remote control (his words)! Coming along to the sessions to use his new Lenovo tablet has opened up a brand new world. By coming to the sessions, Eric has been able to make payments to buy the Lenovo tablet with Stockport Homes paying half too, as part of their Digital Inclusion initiative. Now Eric has been able to connect with family more often, previously his only means of contact was over the phone every 3 months. He’s also been able to pursue his hobbies and he has looked at records stores all over the country to find classical music that he has been unable to find locally. Eric’s latest achievement is booking a holiday online with the help of the Digital Heroes at Brecon. He was able to search for the best prices and has successfully booked a trip later this year. In the meantime, he has been contacting families who emigrated to Australia during the 1960’s when he worked in the merchant navy! Not only that, but Eric is now a bit of an online critic! After Christmas, he signed up to TripAdvisor to review a hotel that he stayed in over the festive break with fellow Vietnam war veterans for combat stress. Eric only began his online journey last summer, and what he has achieved already has been phenomenal!